2 Pieces. Cap Shoes Colors: bleu,pink,yellow. Size: 0 to 3 months. Composition: 50% cotton / ..
2 Caps. Size 0 to 3 months. Colors: 8 choices. Composition 100% cotton. 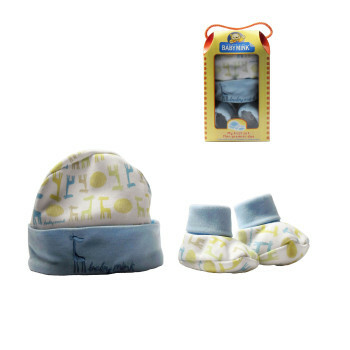 Collection NEWBORN. 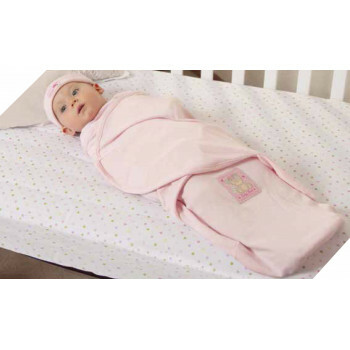 P..
1 piece: Swaddle baby roll. Size 0 to 3 months. Colors: Bleu, Pink, Yellow. Composition 50% co..
10 Pieces: Kit for lunch. 4 bibs double sided. 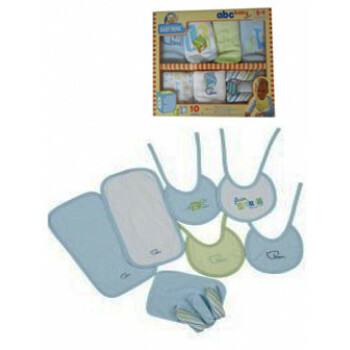 2 burp pads double sided. 4 baby towels. Color..
4 Pieces. 1 Pair of knee protectors. 1 Pair of socks. Size 9 to 12 months. Colors: 6 choices. ..
1 piece. Cuddly toy Newborn and more. Size 24cm x 15cm. Colors: Blue, Pink, Yellow. Compositio..
2 Pieces. 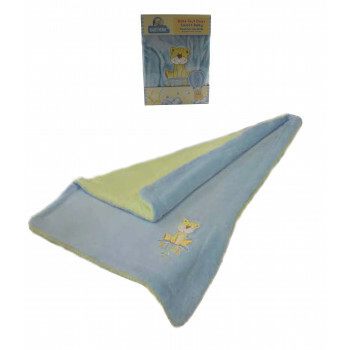 1 Microfiber blanket. 1 activity toy 3 in 1. ( Toy-Rattle-Teether). Embroidery. Colo..
2 Pieces. 1 Light blanket. 1 Teddy bear. Colors: Bleu, Pink, Orange. Size: 90cm x 80cm. Compo..
1Piece. Light blanket. Embroidery. Colors Bleu, Pink, Yellow. Size 1,00m x 80cm. Composition ..
1 Piece. Reversible blanket. Embroidery. Colors: Bleu, Pink, Yellow. Size 1,00m x 80cm. Compo..
1 Piece. Light blanket. Inside with sherpa. Embroidery. Colors: Bleu, Purple, Yellow. Size: 1..
Glow in the dark 2 Pieces: 1 Blanket 100cm x 80cm. 1 Cushion 28cm x 18cm. Colors: Bleu, Pink ,..
1 Piece. 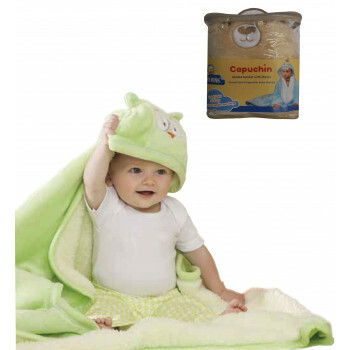 Hooded blanket. Inside with sherpa. Embroidery. Colors Bleu, Pink, Beige, Green. 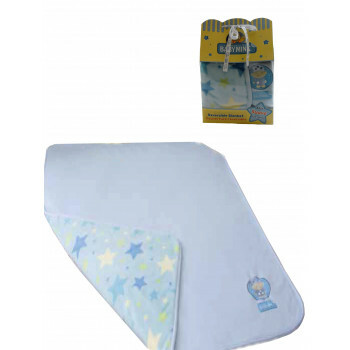 Siz..
Baby Towels ( 5 ). 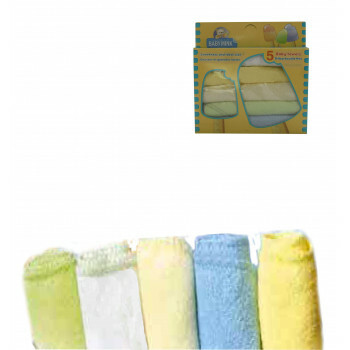 5 Pieces: Baby Towels. 5 Colors each box. size 25cm x 20cm. 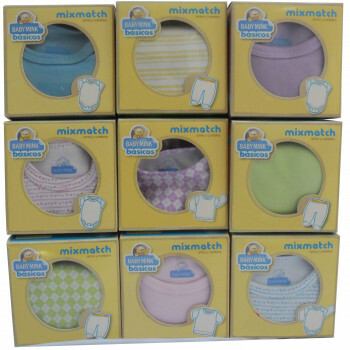 Composition 85% cotton, 15% polyes..
5.00$ each original and fun gift box with baby clothes from 0 to 9 months. 12 colors individually..